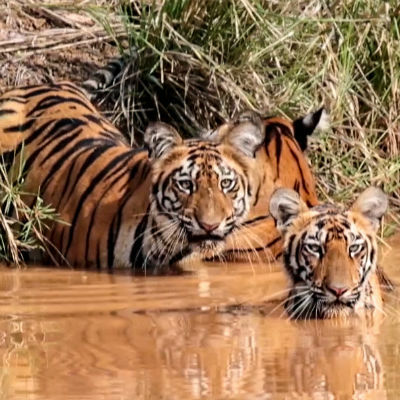 How does water affect life in Satpuda, the home of Born Free’s Living with Tigers programme? Water is the lifeblood of humans and wildlife alike. 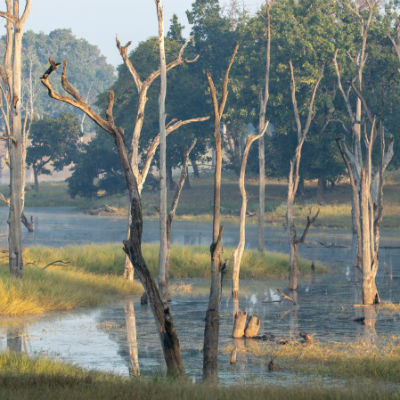 In the Satpuda landscape of central India, where Born Free’s Living with Tigers Programme operates, humans and wildlife have to share the natural water sources that this rural area has to offer. As well as many beautiful lakes, Satpuda is the source of more than 300 rivers. It’s therefore crucial to protect them to avoid human-wildlife conflict, but that’s not easy in a country where rainfall is volatile and pressure on land for human development is intense. India has a monsoon season, with 70% of the country’s rain falling between June and October each year. Unfortunately, the 2018 monsoon season was disappointing. Rainfall was 9% lower than the average monsoon according to the Indian Meteorological Department, and though many areas of India had too much rain, Satpuda experienced a drier monsoon than usual. This also happened in 2015 and 2014. Just a few weeks after 2018’s monsoon season was over, there was already evidence of water sources in Satpuda starting to empty or even dry up completely. The people who live in Satpuda mainly use natural water sources for agriculture. Farmers use the water to irrigate their crops or for their cattle to drink. But wildlife uses the natural water sources too. If those sources dry out, wildlife will venture closer to human settlements. Born Free’s Living with Tigers programme is working with government departments to ensure natural water sources are protected and that any man-made development in the Satpuda region takes into account the impact it could have on the environment. Living with Tigers also works with local communities to educate them on the importance of conservation and to reduce human-wildlife conflict. With your help, we can increase our efforts and expand our work across the Satpuda landscape.